Peewee, Bantam and Junior Varsity division players will receive socks, all in one padded pants and a game jersey for them to keep. Each registered player will receive Helmet, Shoulder pads, Practice Jersey, Pants, Belts, Knee pads, Thigh pads and Tailbone pad. A deposit of $200 will be taken at time equipment is handed out with the player receiving $150 upon equipment return. 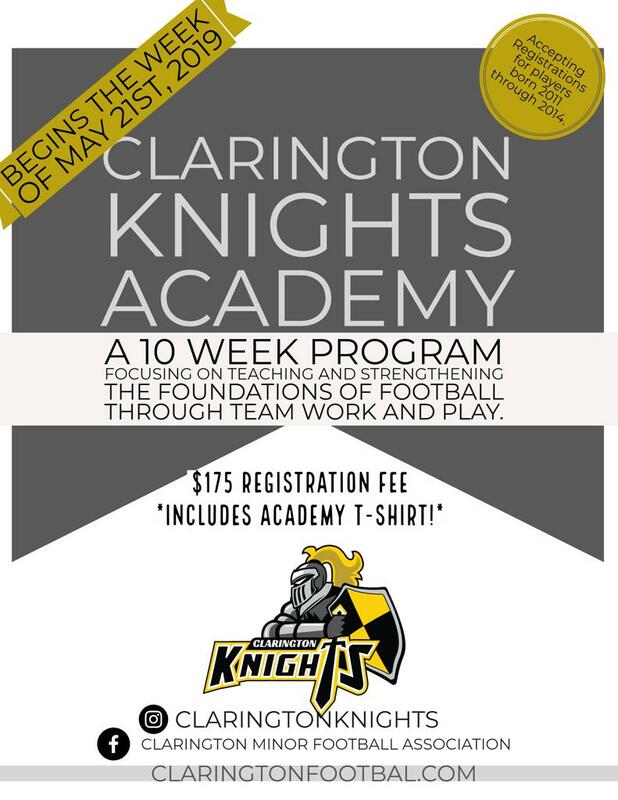 We are accepting registrations for players born 2011 through 2014 for our 10 week program focusing on teaching and strengthening the foundations of football through team work and play. The cost is $175 and includes an Academy T-shirt. Registration Fee for all divisions in the rep program is $650.00 which includes the $100 mandatory fundraising fee. There is also a $200 equipment deposit ($150 returned upon return of equipment). 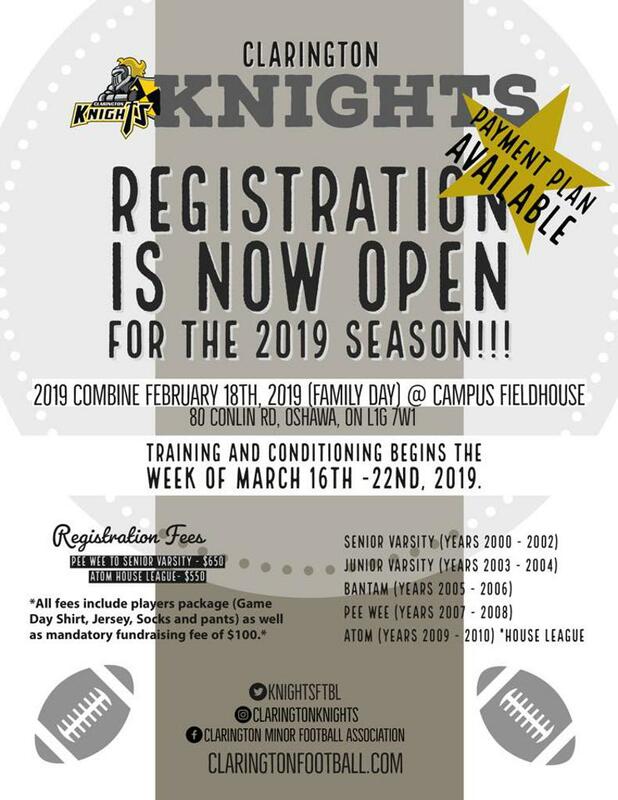 Season starts with indoor practices in March 17th, 2019 at Campus Field House Indoor Turf (Durham College) and outdoor practices and games running from May to August. The $100 mandatory fundraising fee will be returned once the player reaches $100 in fundraising activities and events. Fall Rep Programs - OFL - Season starts August and finishes in November. Atom division - players aged 7 -9 - Cost is $550, returning House league player receives $100 discount = $450 cost. Peewee division - players aged 10-11 - Cost is $550, returning Summer rep player receives $100 discount = $450 cost.